Remember when you used to rush outside on Sundays instead of lazing around, just so you could find out what the week had in store for you? Of course, we are talking about horoscopes and the ever interesting science of astrology. Truth be told, zodiac signs have always been fascinating and we still smile a little if we glance upon something that says something true about us! While the elders decide on the wedding planning, why not indulge in some zodiac analysis for the upcoming wedding? Whether you are curious about what sort of Virgo bride you will be or if you are wondering about what to expect at that Virgo friend’s wedding, we are here to help! We have listed a few characteristics of the Virgo woman and analysed bridal traits based on those! Enjoy! Virgos have a selective social circle and do not be surprised if you find yourself in the midst of an intimate wedding. Brides under the Virgo sun sign would like their close family and friends for their special day and there will probably be a limited guest list. Unless forced by the family, Virgo brides would prefer a simple but perfect wedding. Virgos like the simpler things in life and would really like a minimalist wedding without the pomp and show. They are not extravagant by nature and this reflects in their wedding planning as well. You will probably find table arrangements, decor and other necessities of the weddings in simple taste. Okay, let’s just say that NEAT and CLEANLINESS FREAK are probably understatements when it comes to describing the Virgo bride. Virgo woman are suckers for punctuality and expect this wedding to be on time! From pre-wedding rituals to dinners – everything will be on time in this wedding. You better be on time if you don’t wanna end up in the bad books of the bride. Being a perfectionist, the Virgo bride cannot let her big day be anything short of a huge success. 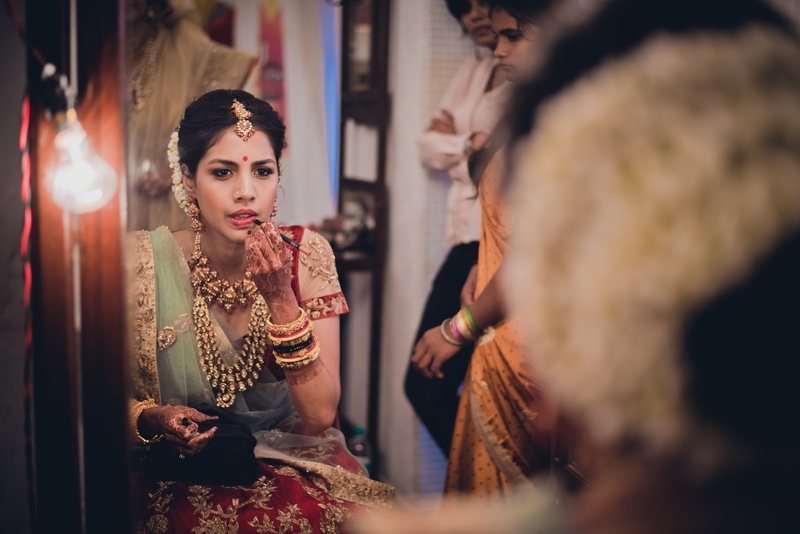 The meticulous bride will make sure that everything goes as per plan and that everything is done the right way. She will probably worry (which is again her nature!) about something going wrong, but she will also have a backup plan. Nothing, and I repeat nothing, can ruin this bride’s day! You will probably have to run a few errands to make sure everything’s perfect but that’s alright cos she is a wonderful friend, ain't she? The simple and straightforward Virgo bride is also a sucker for traditional and conventional things. You will probably be a part of a traditional ceremony with the bride’s close family and friends. Even if they are not big on rituals and ceremonies, you will probably find them dressed in simple but traditional attire. When it comes to simplicity, nobody can rock it better than Virgos! Now that you know what to expect from a Virgo bride, let us know if you agree with us!